One of the most popular mens fashion jeans among star athletes right now is Amiri. The edgy distressed mens fashion denim ranges from $690 to a whopping $1500. Some of the brands most notable consumers are star athletes, especially NFL star Odell Beckham Jr. who really embraces the brand and has a great relationship with the founder/designer Mike Amiri. 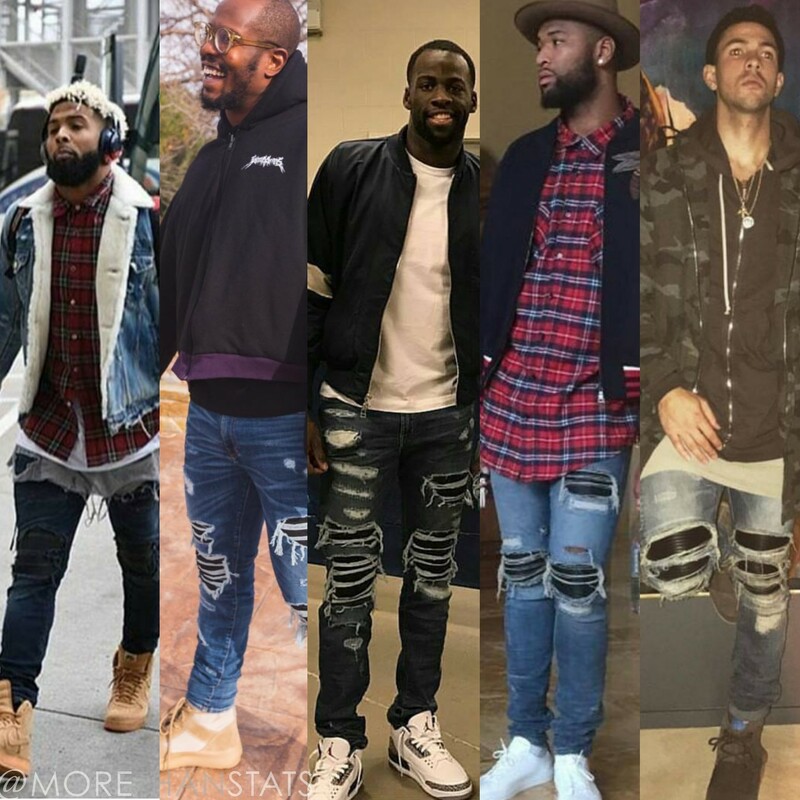 Catch Odell wearing nothing but Amiri distressed fashion jeans. Check out what athlete we’ve recently highlighted wearing mens Amiri Jeans with their most fashionable pieces below. NFL star Cam Newton wearing Amiri Jeans. NBA star John Wall posted up in Amiri pants. NFL star Odell Beckham Jr. in Full Amiri look. NBA star Demarcus Cousins wearing Amiri Denim. NFL superbowl Champ Von Miller wearing Amiri denim. NBA star Kevin Durant on the cover of Rolling Stones wearing Amiri. NBA star Draymond Green paired his jacket with Amiri denim. Soccer star Karim Benzema in Amiri.